Trusting Their Lives to This Weird Orange Bag? In the next 20 seconds you&apos;re going to discover a very common misconception about surviving a disaster millions of people simply don&apos;t know. You&apos;ll also increase your odds of survival significantly! Once you learn this fact you&apos;ll automatically know the simple steps to take that&apos;ll help you confidently overcome a common survival situation that could kill you in minutes. Curious what this fact might be? Despite what most people believe - the first pieces of survival gear you should own has nothing to do with food or water! That&apos;s right. Food and water aren&apos;t nearly as important as most people believe. That&apos;s because you can go 2-3 days without water and 1-3 weeks without food and still escape with your life. What&apos;s more deadly, and what kills more people year after year after year is exposure to the elements. If you&apos;re not prepared to deal with exposure your life will be hanging by a thread within 15 minutes. And it&apos;s because exposure to the elements kills far more people in survival situations than dehydration and starvation combined that we wanted to introduce you to one of the most useful and most underrated survival tools on the planet. The original TACT Bivvy is one of the most advanced survival tools on the planet. Tens of thousands of Americans have already made the incredibly smart decisions to get the Tact Bivvy® to stay safe from exposure. And once you see who had a hand in designing the materials used to make it you&apos;ll understand why. The reason the TACT Bivvy 2.0 is so amazing is because it uses a lightweight material invented by NASA to keep you protected from death by exposure. NASA designed this space age material to help keep astronauts and sensitive materials warm in the sub-zero temperatures they encountered in space...so you can imagine how well it&apos;ll work here on earth. Once they released the technology to the public survivalists started to use the same material in emergency survival sleeping bags. You&apos;ve probably seen a few of them before. Well the TACT Bivvy 2.0 IS NOT just another run of the mill emergency sleeping bag - it&apos;s much different (and much better) and here are a few reasons why. Because this space-age fabric reflects 90% of your body heat back to you it makes it so once you&apos;re inside the TACT Bivvy 2.0 you&apos;re instantly wrapped in a cocoon of warmth. This means when you use the TACT Bivvy 2.0 in situations where the temperature has plunged to dangerously low levels you&apos;re still warm and protected. Truth is on a weight to warmth ratio the TACT Bivvy 2.0 outperforms the most expensive camping and backpacking sleeping bags; even top of the line ones that cost well over $500! Want to know another huge benefit of the TACT Bivvy 2.0? It&apos;s incredibly lightweight and compact. When stuffed inside its included stuff sack the TACT Bivvy 2.0 is so small it fits in the palm of your hand. That&apos;s pretty incredible, isn&apos;t it? Plus it only weighs 6 ounces. Which means you can take the TACT Bivvy 2.0 with you absolutely anywhere and you&apos;ll never once have to worry about its bulk or weight giving you problems. Because they&apos;re so small you can choose to store them wherever you think is convenient. Keep them inside of a glove box, in a survival kit or bug out bag, or just stored in a drawer at home so you&apos;re ready for anything. Perhaps you doubt a Bivvy could truly save your life. Well one Bivvy owner was co-leading a camping trip when his co-leader broke her leg. As is normal when dealing with a major injury it wasn&apos;t long before shock set in and her body temperature began to dive. While trying to evacuate her it became clear that unless she didn&apos;t get warm and dry she could die. So he and his group did what they knew would help save her life. 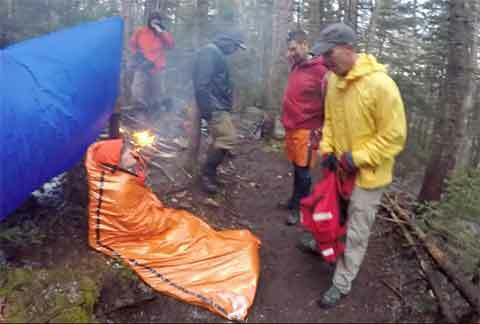 They quickly put her in the Bivvy and got her comfortable until she was stabilized and well enough to get a full evacuation. Once stabilized and warm inside her Bivvy they were able to wait for rescue workers to come get her. Without the Bivvy on hand things could have turned out much, much worse. It&apos;s stories like these that prove these emergency sleeping bags are far more than gimmicks. Truth is the Bivvy is just as useful out in the middle of the wilderness as it is stored in your car. The TACT Bivvy 2.0 is perfect in so many situations. Keep one in your glove box so you&apos;re prepared in case you&apos;re ever stranded in your car in the bitter winter cold. Or keep a few at home for use in case extended power outages cause your home to turn into an igloo. Honestly, with our entire electrical grid at great risk of collapse it makes a lot of sense to keep a TACT Bivvy 2.0 on hand to help keep you warm even when you&apos;re without power for hours, days, even weeks. And of course they&apos;re quite useful stored in emergency first aid kits, bug out bags, camping packs and much, much more. Remember when we said the TACT Bivvy 2.0 is much more than your average, run of the mill emergency sleeping bag? Well check out the following 5 reasons where we prove it! Once your TACT Bivvy 2.0 arrives in the mail you&apos;ll see exactly why thousands of expert survivalists all over America have fallen in love with them...and why they&apos;re better than all those other emergency sleeping bags sold on the Internet. Super Durable: The TACT Bivvy&apos;s heat reflecting space aged material is coated with a special material called HeatEcho™. This material is stretchy, tear-resistant, and made to last. You can use it over and over again and it&apos;ll be there for you when you need it. Waterproof & Windproof: The TACT Bivvy 2.0 keeps rain and wind out, effectively protecting you from the elements. And unlike other emergency sleeping bags it also features completely taped seams which creates an impenetrable barrier between you and what could kill you. Super Lightweight & Compact: For survival, lighter is better. Weighing only 6 ounces and fitting in the palm of your hand it&apos;ll literally never weigh you down. Ultra Warm: Because it reflects 90% of your body&apos;s heat back to you it will absolutely keep you warm in brutal cold. 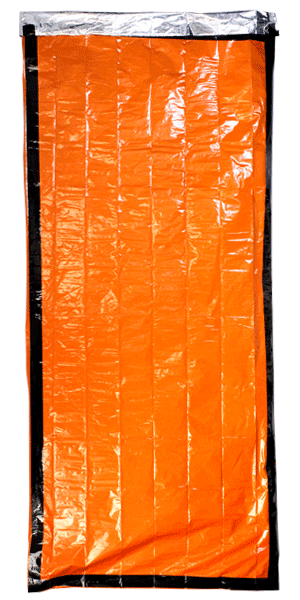 Plus you can slide it inside a sleeping bag and raise the bag&apos;s temperature rating by 20 degrees! Super Easy to Use: Emergency situations are no time to deal with complicated survival tools. And even though the Bivvy is light and compact, at 7 feet long and 3 feet wide it&apos;s super easy to get in and out of which makes it perfect for survival situations. And perhaps the best feature out of all of them? The TACT Bivvy 2.0 is CRAZY AFFORDABLE. If you were to buy the TACT Bivvy 2.0 for the full retail price of $24.97 you&apos;d agree that&apos;s a great price for such an incredible survival tool. Afterall, $24.97 is more than worth it when you realize this tool is lightweight, compact, and could save you from dying exposure. We promise, you&apos;ll love the TACT Bivvy 2.0. "IT CAN SAVE YOUR LIFE!!" "Every car needs one. It can save your life!" "I TRIED THE BIVVY BAG OUTSIDE IN 35 DEGREES. "Great bag/blanket - I tried the bivvy bag outside in 35 degrees. Stayed warm and comfy!!" "It's quick and easy. No mess, no fuss survival in your Bug Out bag or just an everyday item in case of emergencies." It&apos;s likely now that you&apos;d agree owning a survival tool that will protect you from exposure is incredibly important. As one of the nation&apos;s largest survival stores we think so too. The disturbing thing is most of our customers have no idea. They, like millions of others, have been incorrectly taught food and water are way more important. When we found that out we knew we had an obligation to make sure people had a tool that would protect them from the elements. And that&apos;s why we decided to offer the TACT Bivvy 2.0 for just $19.97 (retail price is $24.97). That&apos;s it, that&apos;s the not so crazy reason. When you get a Bivvy today you&apos;ll also receive our Stormproof Matches & Case for FREE (retail $5.97). These matches and the accompanying match case are awesome! The case is rugged and waterproof making it perfect for a bug out bag or camping kit. With a rubber O-ring sealing the case shut your matches will never get wet...ever! The case has strike pads on the top and the bottom, which makes for easy lighting, every time. Comes with 20 waterproof and wind-resistant matches to ensure you can light a blazing hot fire in no time. Another thing? If you get 3 or more Bivvys (which is smart if you have friends and family), not only do you get FREE Stormproof Matches...you&apos;ll also be awarded FREE shipping and our amazing Tube Tent for FREE! It&apos;s our way of making sure you and your loved ones have all you need to survive. To get your Bivvy, FREE Stormproof Matches and to qualify for FREE Shipping & FREE Tube Tent, click the big orange button below. Then select your quantity and you&apos;re done! Don&apos;t wait, click the BIG Orange button now! P.S. If you order today we&apos;ll also give you 3 FREE exclusive bonuses — See them below! Your TACT Bivvy 2.0 Also Comes With 3 Exclusive Bonuses You Can&apos;t Get Anywhere Else. 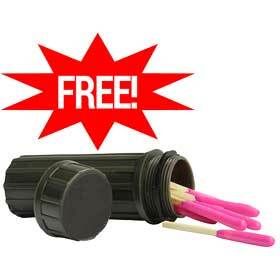 When you get your TACT Bivvy 2.0 today we&apos;ll also throw in these 3 bonuses for FREE! Take a look at what you&apos;ll be getting with your TACT Bivvy 2.0 today! While using the TACT Bivvy 2.0 to stay warm during a power outage makes sense would you know what to do if the power goes out FOREVER? Our Backup Energy Plan guide shows you key pieces of information you&apos;ll need to provide power when the power&apos;s out so you and your family stay safe when the nation goes dark for good. 1 thing you should never do when the power goes out. Most people think it&apos;s safe but it can actually be deadly. 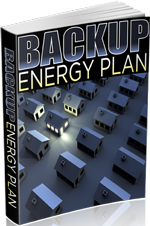 8 easy ways to create a backup energy plan for a power outage that&apos;ll save you money today. 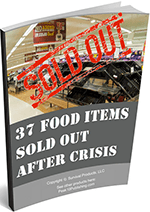 An incredible resource; teaches you some of the most important information to help you prepare for crisis way before it happens. The exact items needed for your go-bag (and what you should never, ever put inside it). How to prepare your automobile for a crisis. It might not work unless you see this. Crazy and affordable ways to generate FREE energy in a blackout. These can even be used now to save tons, and tons of money! How to communicate during crisis. Cell phones might not work but these methods will. The most effective way to organize your family emergency plans. Without this you might want to start picking out gravestones and much, much more! 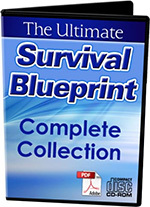 With more than 250,000 copies sold, this is the "Bible of Survival." Keep your family from being attacked and robbed by buying these items before they&apos;re "on the radar" and much, much more. But only if you claim your discounted TACT Bivvy 2.0 today! 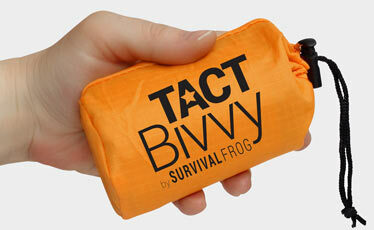 Don&apos;t wait another minute — Press the Orange Button and Get Your TACT Bivvy 2.0 Today! Most People Need More Than 1 Bivvy!